Roaring standing ovations. Stacks of heartfelt thank-you letters and emails. One audience leading to the next. Every time. There are thousands of speakers around the world with worthy messages and incredible achievements. How does John O’Leary compare? He doesn’t. Since John began speaking professionally in 2007, he has partnered with more than 1,600 clients, in 48 states and 11 countries. Today’s business environment has more challenges than ever: budget cuts, declining employee engagement, and the pressure to increase financial goals. John empowers audiences to shift perspective, increase individual and team accountability, and embrace a culture of abundance rather than scarcity. 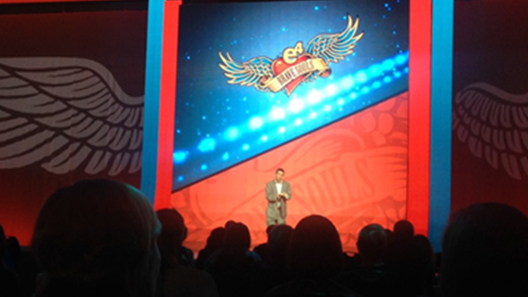 His keynotes have dramatically affected the personal and professional lives of business men & women – and the bottom line. As a former trauma patient and hospital chaplain, John is a popular speaker choice for hospital systems, healthcare associations, and medical/EMS conferences. 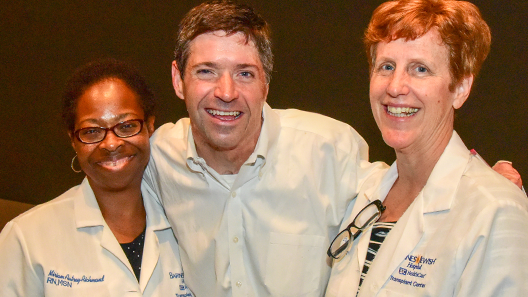 He understands that the healthcare profession demands individuals who are dedicated to serving patients and families, often with limited resources and exhaustive schedules. John will reignite participants’ passion for their healthcare careers. John and his family have experienced the incredible impact proper financial and insurance planning can have. John’s father, Denny, has been living with Parkinson’s disease for the past three decades. It is Denny’s disability insurance policy that has sustained his family’s standard of living. 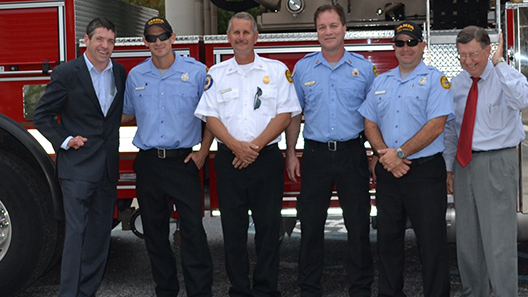 Additionally, their family has also rebuilt after two separate house fires. 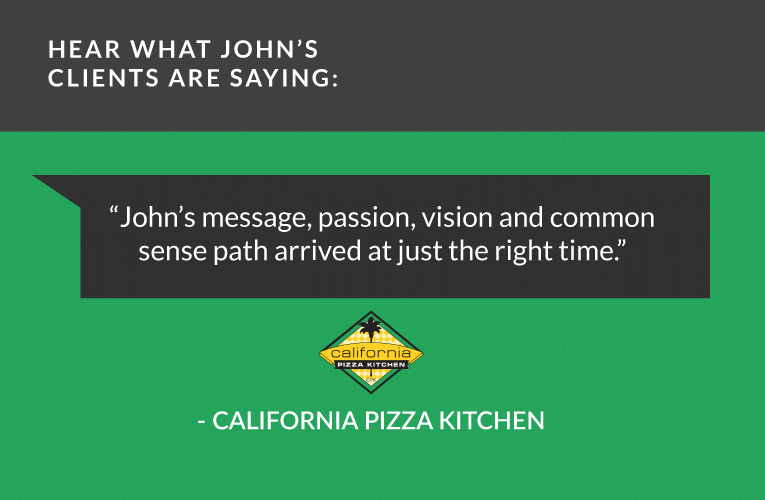 John is a favorite for client appreciation events, regional / national meetings and recognition events. John has shared his message at administration conferences, student assemblies, and professional development / in-service workshops. John inspires audiences to fully realize the possibility of how one can serve, love and impact more profoundly. John’s message celebrates individual uniqueness, the power of everyday heroes, and the need for character and integrity. John’s message may be the most important gift your students, faculty, and staff receive this year! As John O’Leary so intimately knows, one poor decision can dramatically affect the rest of your life – and also your family, organization, and community. Leading with a vision of eliminating all employee accidents, John challenges audiences in manufacturing, construction and utilities to improve their safety through personal accountability – one employee, one decision at a time. While many safety programs focus on what NOT to do, John focuses on what TO DO to cultivate a safe work place, lead and thrive in life. Today’s world can seem so dark. All too often we are reminded of the pain and disappointment in our everyday lives. Faith doesn’t guarantee the avoidance of adversity, but it does share the truth that a loving God suffers with us in our pain, celebrates with us in our joy, and invites us into an eternal relationship with Him. John O’Leary illustrates the incredible power of love, gratitude, forgiveness, purpose, courage and resilience. This program will empower you to shine your light of faith for all to see! 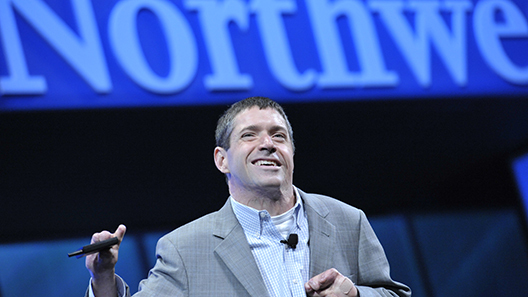 “John did an outstanding job captivating the hearts and minds of our attendees…at the business and personal levels and his talk was the highlight of the weekend.” – National Association for Electrical Distributors. John has reinvigorated association members in all industries – he will share the intangible values of connecting with like-minded professionals, being part of something more and the truth that the best is yet to come. 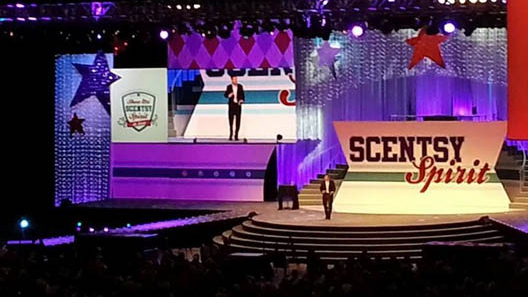 John was also a hit at the Scentsy annual fall Family Reunion for 8,000 attendees. In fact, he was immediately booked for the Scentsy leadership conference in January. 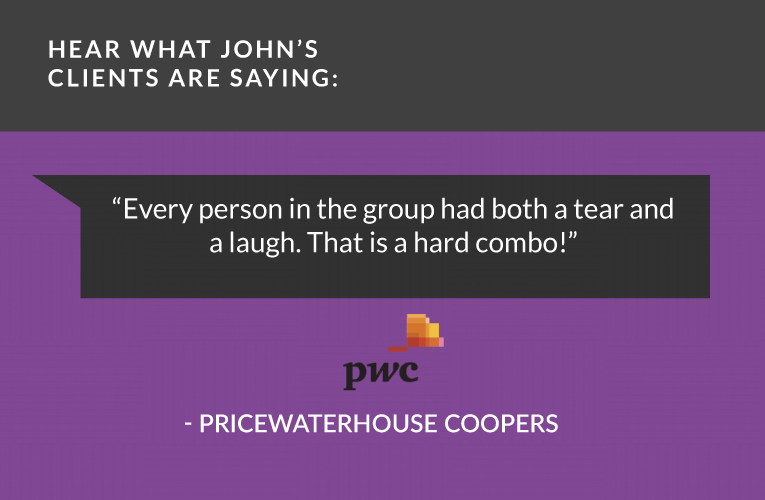 John will reignite your consultants’ passion for selling and your vision for what is possible. Don’t miss this chance to set your business ON FIRE. The power of John O’Leary’s message has a universal application and can be uniquely personalized for your organization. John regularly partners with leaders to customize his keynote presentations to complement their annual conferences, meetings and events. John will successfully highlight your organization’s mission, values, or specific meeting objectives. John was a curious nine-year-old boy. Playing with fire and gasoline, he created a massive explosion in his garage and was burned on 100% of his body. Given less than 1% chance of survival, John is proof of the power of the human spirit. His unlikely recovery meant a journey of pain and loss that could have easily been insurmountable. However, far from being an example of someone who simply endured tragedy, John is a luminous example of thriving through adversity. Surprisingly, this “survivor” story isn’t focused on John – rather, it is a celebration of heroes who intimately served him and his family. From a dedicated Hall of Fame sports announcer to a visionary burn nurse (and countless others), every individual involved in this 1987 fire teaches us this truth: one person can make a profound difference in the lives of others. With emotional storytelling and unexpected humor, John reminds audiences of the significance of daily attitudes, the power of gratitude, and the impact of serving others with courage. He reawakens audiences to realize the gift of today and the possibility of tomorrow. 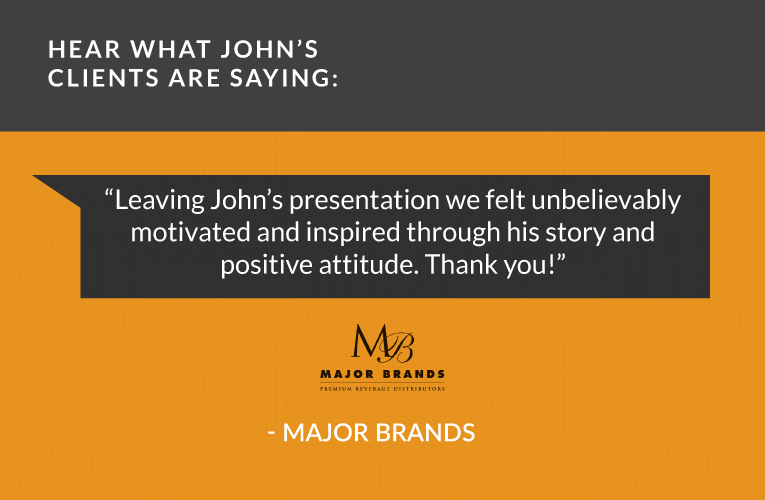 John is consistently referenced as “the best speaker we’ve ever had” – earning five star reviews and inspiring 50,000+ individuals at 100+ events each year. His book, On Fire: The 7 Choices to Ignite a Radically Inspired Life was an instant #1 national bestseller, has sold 100,000+ copies and has been translated into 12 languages. John illustrates this truth: one attitude, one action and one person can absolutely change the world. CULTURE: John helps organizations build a positive atmosphere to increase creativity and productivity. Audiences learn how to reignite an environment built on shared goals, values and focus. COMMUNICATION: John outlines unconventional communication methods to dramatically (and positively) impact relationships. We live in a world where “accidental living” – mindlessly moving through routines, wasting countless hours on social media, or complaining about what’s wrong in our jobs, families and society – has become the norm. But John O’Leary reminds us that just because we got out of bed this morning, does not mean that we are truly living. What would our day, impact and output look like if we lived a radically inspired life, every, single day? Living radically inspired means you learn from past mistakes, rise above challenges and thrive no matter the circumstances. No one embodies this more than powerhouse inspirational speaker John O’Leary – who was nearly killed in a devastating fire at age nine. Today, John inspires 50,000+ people each year around the world. In his #1 national bestselling book ON FIRE: The 7 Choices to Ignite a Radically Inspired Life, John has identified choices to transform your life and business. John shares the critical truth that “inflection points” – moments in time that change everything that follows – occur daily. John will help you realize it’s your choice how inflection points affect you. Your life has much less to do with what happens to you, and much more to do with how you react to it. Are you ready to live on fire? ACCOUNTABILITY: Own your wins and your failures to truly celebrate your outcomes. Discover the power of taking ownership of your life and the impact it will have on your bottom-line. Your team will replace blame-shifting with courageous living. VICTOR-MINDSET: Shift your perspective to leverage your strength and reclaim freedom. First, see how perspective is coloring each of your interactions. Strive for progress (not perfection) and learn from defeat. With a new common mindset, your organization will achieve unbridled success. It is easy to feel like we are living in a period of darkness, with the current global tensions, political unrest, fragmented communities and intensifying violence. Be The Light reminds us that light pushes back darkness, love destroys evil, God still reigns and the best is yet to come. Most importantly, we’re reminded that as Christians, we are called to be the light. In his keynote, John shares 8 keys to empower you to fulfill this calling. No one understands the importance of having light in a dark world more than powerhouse inspirational speaker John O’Leary – who was nearly killed in a devastating fire at age nine. Today, John inspires 50,000+ people each year around the world. John’s poignant storytelling is a blend of emotion, humor and authenticity. His faith testimony beautifully illustrates the power of prayer and God’s presence during our times of greatest challenge. FELLOWSHIP: John helps organizations build a positive atmosphere to increase dialogue and connection. Audiences learn how to reignite an environment built on prayer, values and hope. rate his message as exceptional.